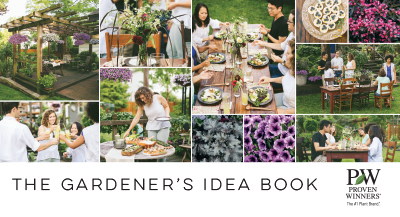 Their Gardener's Idea Book has been an absolute hit! Complete with landscape and container gardening ideas for a broad range of styles and spaces. Over 3 million have been distributed across North America since its debut in 2007. -- This idea book is designed to inspire the consumer audience. -- Simple is smart. Simple is time-saving. Simple is beautiful. But maybe for you, simple is the last word that comes to mind when you think about gardening and landscaping. We get it – you want your yard to look great and you're willing to do the work yourself, but you hardly know where to start. You're not alone, and that's why they created Gardening Simplified. This reference guide is designed to provide the information and ideas you need to improve your landscape and present them in a convenient and easy-to-understand format.